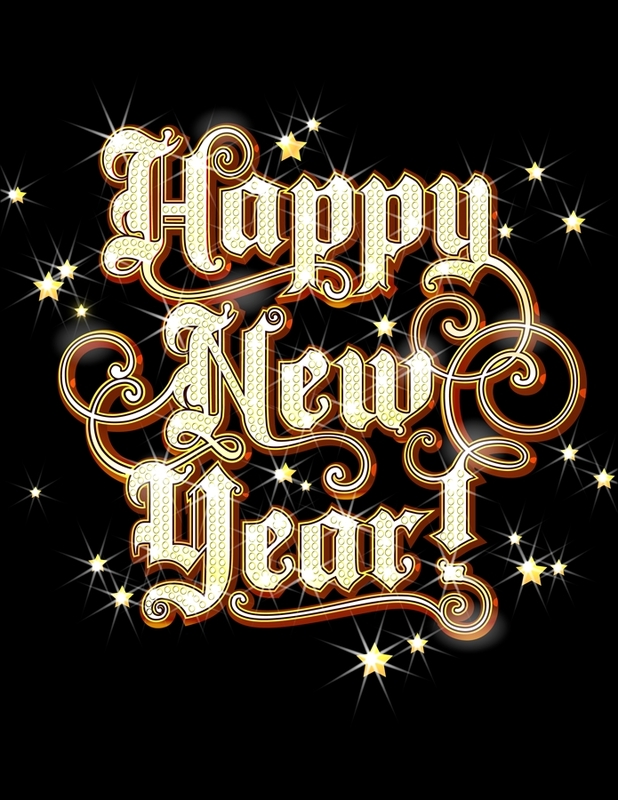 Everyone makes New Year’s resolutions, and everyone finds it hard to keep them as the months wear on. It doesn’t really matter if they are goals you set for your business or for yourself, change is challenging. So, seven practice management and healthcare experts offer their best tips for setting and keeping your medical practice resolutions to make 2015 a successful year. Mary Pat Whaley: Help staff understand the change and then use scripts and role play to help staff prepare. For example, if you resolve to get a handle on your front-end patient collections, make patient collections an agenda topic at every staff meeting, and help staff to understand how critical patient collections are to the survival of the practice. Have staff write down what patients say about not wanting to pay at time of service and develop a script for replies, then have staff role play the objections and answers. Judy Capko: Set monthly milestones and review them at the monthly meetings. It builds in reasonable accountability. Rochelle Glassman: Goals should have been set and agreed to during the last quarter of 2014 so that everybody is on board. Bonus structures should have been developed and put in writing linked to key performance indicators (KPI’s) that relate to the goals. Staff and management should have signed off and agreed to goals and bonuses. Then, the manager or owner should meet with staff regularly to check in on goals and KPIs and keep everyone accountable and on track. Cheryl Bisera: Use hard data to inform your goals, then set dates and build accountability into your calendar. In other words, pull data from your practice so you have a baseline to grow from. Say for instance that you want to collect more over-the-counter patient portions—you have to know your baseline, like an average daily percent of patient portion that’s being collected. Set goals from there. Audrey McLaughlin: Have the physicians or management make the goals (with staff input) and then post them, maybe in a break room, so they are easily seen and people feel accountable for progress. Kathy Young: When I create my resolutions or my new year goals I do two things: set up a deadline with personal rewards or penalties and I get an accountability person to help me stay accountable to my goal. 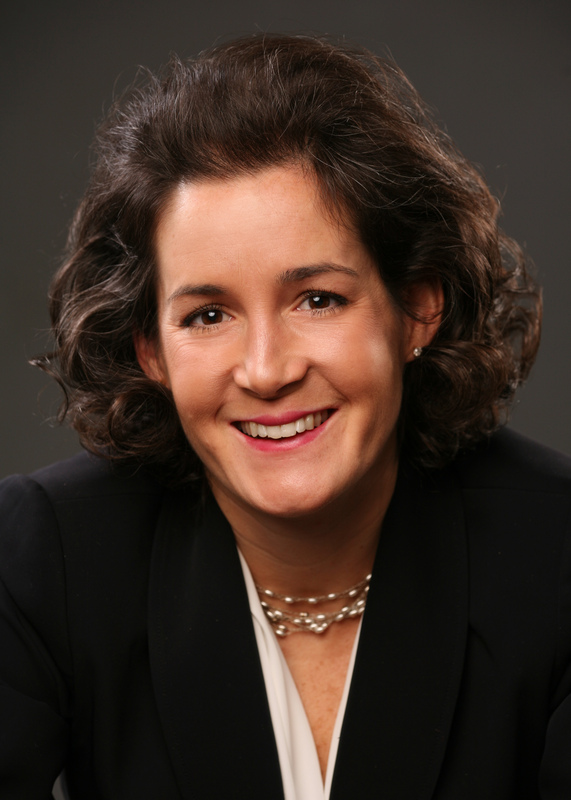 Lisa Eramo: When establishing any type of goal, you need to identify clear and manageable steps that will help you attain that goal. Simply establishing the goal without thinking about how you will achieve it will likely set you up for failure. Write down the steps that will help you succeed. Include deadlines by which you hope to achieve each of these steps. Identifying—and surpassing—each of the steps and ‘mini-goals’ along the way will also make you feel as though you are accomplishing something. For example, if you want to reduce its denials by 50%, this won’t happen overnight. Identify the factors that affect denials (e.g., insufficient documentation, incorrect coding, lack of medical necessity, etc.). Set goals each month. 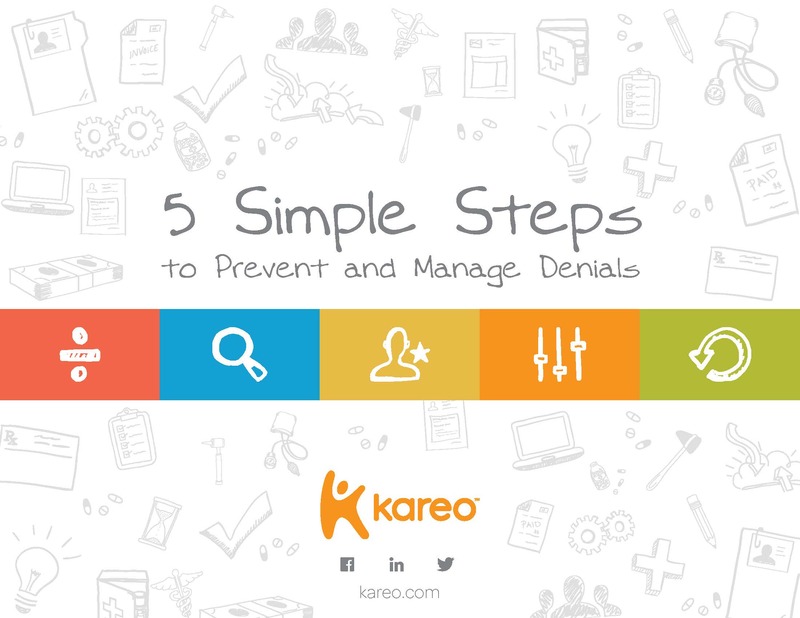 One goal might be to identify your top 5 reasons for denials. Another might be to ensure you have updated contact information for each payer and a specific individual to whom you can pose questions. Last but not least, to achieve your goals, you might need to make some changes like upgrading or integrating your current medical practice technology. Be sure to give yourself the time you need to find the right solutions and implement them effectively. As the end of the year nears, it’s nice to look back at 2014 and recap some of the best tips from the Getting Paid blog. The advice from these experts still holds true and can be helpful as you move into the New Year. If you didn’t implement some of these ideas when we first shared them with you, perhaps now is the time! 6 Simple Strategies to Improve Patient Retention: Satisfied patients who keep coming back are the cornerstone of any successful practice. Keeping your existing patients is always easier than getting new ones. Use these strategies to do just that. Increasing Healthcare Demand if Revenue Opportunity Infographic: Get a snapshot of the changes coming in healthcare over the coming 10 years. Demand is increasing and you can position your practice to take advantage of that demand and grow. Experts Offer Advice for Reducing Wait Times: You need to see as many patients as possible each day, and keep those patients happy. If you regularly fall behind and have long waits it can cost you visits and patients. Industry experts offer advice to keep your practice on schedule. 3 Reasons to Upgrade Your Medical Practice Technology Now: It is more important than ever for practices to adapt to the changing industry and patient expectations. Upgrading technology plays a big role in retaining and recruiting patients, addressing changes like ICD-10, and increasing revenue. 5 Reasons to Consider Outsourced Medical Billing : Many practices are looking to upgrade and outsource to reduce costs, improve revenue, and stay independent in these challenging times in healthcare. Find out if this is the right path for your practice. 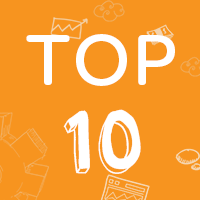 Your Top Credit Card on File Questions Answered: Credit card on file is a growing trend in healthcare and a great tool to reduce patient A/R and improve patient collections. But many practices have questions and expert Mary Pat Whaley answers some of them here. 9 Steps to Improve Patient Collections: The percentage of your revenue that comes directly from patients is growing each year. It is imperative that you focus on streamlining patient collections so you don’t lose that revenue. Steps to Position Your Practice to Accept Urgent Care Patients: As retail clinics become more common, many practices many have to make changes to meet the needs of patients. These strategies can help your practice stay competitive. Is Joining an IPA for You? As physicians look at whether to stay independent (or start an independent private practice), there are many options to consider and questions to ask. One of these is whether or not to join a group like an Independent Physician Association (IPA). Where to Invest in 2015: Top 7 Strategies for Medical Practices: As you prepare for 2015, what are some of the areas that need attention and investment? You can’t do it all, but you can set the right priorities. Check out more great articles from the Getting Paid blog along with resources like webinars and white papers at the Kareo Resource Center. Let’s face it: Healthcare is a business. In addition to providing top notch care, providers must ensure that their profit outweighs operating expenses. However, those working in small practices or as solo practitioners often have difficulty remaining profitable in what has become an increasingly competitive and regulatory-driven environment. Despite an influx of patients due to the Affordable Care Act, physicians struggle to adhere to ever-changing regulatory requirements, pay for staff salaries and benefits, and cover all other overhead costs. Unfortunately, they don’t always have the luxury of being able to purchase the latest and greatest medical equipment. That’s why renting may be a viable option. 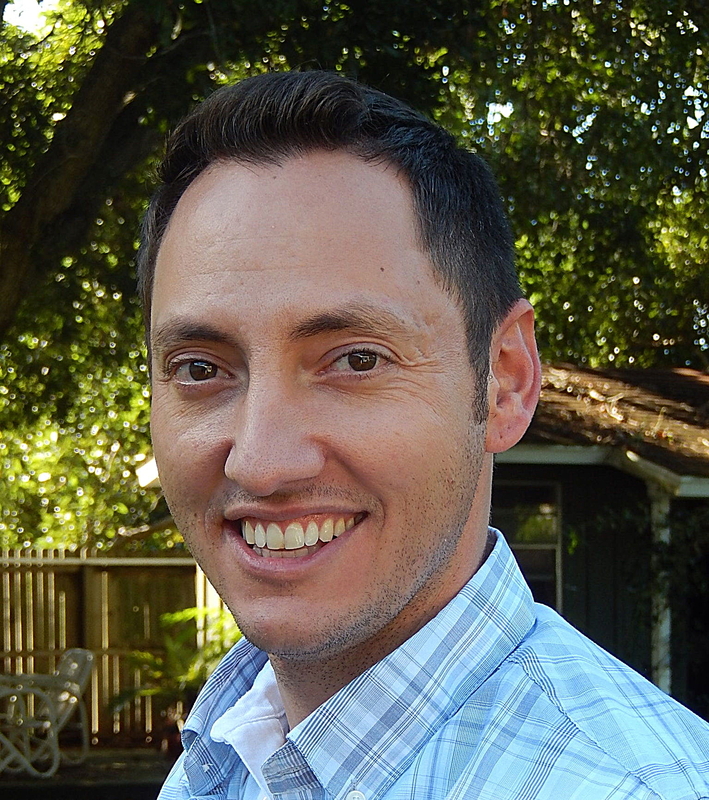 Robert Preville, founder and CEO of KWIPPED.COM, says physicians are increasingly looking toward rental options for several reasons, one of which is the appeal of lower up-front costs. Like any small business, physician practices may want to preserve cash for operating capital or purchasing other assets, such as an electronic health record, that offer a larger return on investment. This is true for practices of all sizes and specialties and especially those going through a rapid expansion, he says. Physicians who rent medical equipment can also use the rent as a tax write-off. When physicians purchase equipment outright, they’re unable to deduct the rent from the practice’s taxable income. Instead, they must generally expense the equipment over time according to an IRS depreciation schedule, says Preville. Many small practices and solo practitioners also rent medical equipment as a way to test proof of concept before venturing into a particular service line. For example, a plastic surgery practice may rent a 3D scanner that provides patients with surgical prototypes before deciding to formally offer those surgical options. One of the most common reasons why medical practices rent equipment is simply to ensure uninterrupted operations while equipment is repaired or recalibrated, says Preville. Other practices simply want access to the most advanced technology to enhance patient satisfaction and produce positive outcomes. 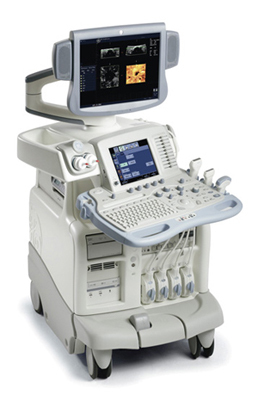 An optometry practice, for example, may rent specialized testing equipment so that patients don’t need to travel elsewhere to obtain this care. Other practices realize that equipment may become obsolete by the time they are done paying for it and opt to rent instead. The choice to rent versus buy is a business decision that will vary according to each practice’s unique needs and goals. How often must the practice replace the equipment? Renting may be a viable option for equipment that is constantly replaced and/or repaired. How quickly will the technology evolve? Renting may be the best option for equipment that evolves rapidly so that practices don’t over-invest in technology that will quickly become obsolete. What types of costs are associated with maintaining the equipment? Ongoing costs could be a barrier for some practices. In a rental arrangement, the vendor may absorb many of these costs. What are the practice’s goals? Does it want to measure demand for a particular service? If so, renting may be a less risky approach. Does the practice want flexibility? Renting offers maximum flexibility, particularly if the practice wants to be able to make changes or even change vendors. What is the practice’s financial picture? Can the practice afford to absorb a significant up-front cost? If not, can the practice attain a line of credit? What expenses might the practice incur in the near future, and might the operating capital be useful for a different purpose? Take the time to consider these questions and make the right decision for the practice based on the answers. The Medical Group Management Association (MGMA) has found that better performing medical practices average just 4% in claims denials in their medical billing. And yet, time and time again, practice and billing managers say they struggle with denials. Practice management and medical billing expert Elizabeth Woodcock says practices can reduce denials and more effectively manage the ones that still happen. 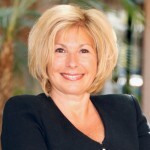 She offers a simple process to follow up on claims that are denied. The majority of denied claims (75%) can be resolved without an appeal. This process is for what she calls “hard” denials where the claim is denied because of a mistake or inconsistency in the claim not an issue like coinsurance being due. Office notes, operative reports, etc. Be sure to use reminders or ticklers so that work on denials is done in a timely fashion. Otherwise, you could miss your window to resend the claim. Woodcock recommends setting up a protocol to ensure denials are managed and write-offs don’t happen automatically. Protocol for write-offs requires the manager to sign off and is a written policy. Put it in writing. Maintain a library of appeal letters so you don’t have to recreate the wheel each time. Make sure it includes all research and backup along with the claim, patient, and details of service information. Be professional and state the facts. Use authoritative sources: Medical literature, specialty society information, national and local Medicare coverage determinations, CPT® manual, and the payer’s website and policy manual. Request a peer review by an expert in your specialty. For more tips from Elizabeth on managing denials, download the new guide 5 Simple Steps to Prevent and Manage Denials. Despite proven return on investment (ROI) from these solutions there are practices that continue use work arounds or standalone tools in place of and integrated EHR and PM system. Those practices may be missing out on a number of profitable answers to tough financial questions, especially in small practices where every penny counts. Practices employing a traditional dictation and transcription model are missing an opportunity for both cost savings and improved efficiency. Documenting with an EHR can reduce or eliminate transcription costs while speeding completion of notes and superbill and improving coding. Manual coding is filled with problems that cost time and money. EHRs enable more complete documentation of visit activities and can assist in accurate coding. With an integrated practice management system, the finished electronic superbill can be submitted instantly and quickly processed. 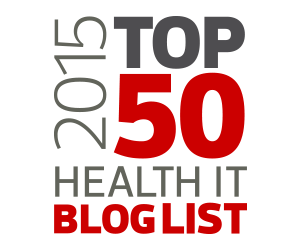 One study showed coding level improves by 3.5% and charges increase by 5% when using an EHR. Practices employing manual patient scheduling and follow up are putting themselves at a disadvantage from a logistical standpoint. 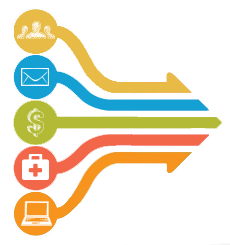 Integrated practices are much better able to establish automated workflows through their EHRs and practice management systems when handling billing, patient scheduling, and follow up to visits. For example, with an automated system for scheduling versus a paper book or spreadsheet, you can adapt your schedule more easily for seasonal changes or to try a solution to wave scheduling. Research has shown that wave scheduling and modified wave scheduling can increase the number of visits in a practice by as much as 20% but it is hard to do without a customizable calendar. Managing billing and accounts receivable is the one of the most labor-intensive and unruly processes within any medical practice. For those in smaller practices, staff often multitask, addressing care procedures followed by accounts receivable, patient follow-up, and even eligibility verification. Checking eligibility manually is very time and labor intensive. With a good practice management system, it can be done instantly with the push of a button for a single patient or an entire day’s patients. This can also reduce denials and speed payment of claims. Automating billing and collection systems can maximize profitability and increase time with patients. Enhanced productivity can be achieved through an EHR and practice management system that streamlines collection methods. Manual collections result in massive amounts of paper records, hard copy mailings and staff hours following up with patients on balances owed. Manual prescriptions and labs are historically problematic. When done by hand, nearly 30% of labs can get misplaced and need to be redone. Manual prescriptions often result in a high volume of calls from pharmacies. These are just some of the problems, and while standalone solutions can help solve these problems, they only go so far. A full-featured EHR provides these electronic options, often from right inside the note. You get improved safety, faster turnaround, and improved patient care while also having access to everything in one place and the ability to see the whole picture of the patient’s care. You can also share results via a patient portal, which many patients say they want. In fact, two thirds of patients say they’d be more loyal to a physician with an EHR and portal. While there are some benefits to standalone systems, they often don’t fully solve the problem. And they don’t offer many of the added financial incentives you can get with an integrated EHR/PM solution. Check out this infographic that lays out many of the benefits of an integrated solution for more. 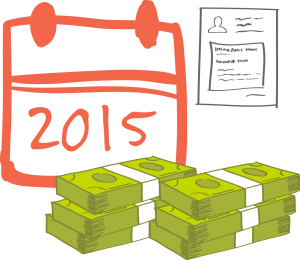 Free Webinar: Getting Paid in 2015, What You Need to Know! Learn tactics to improve your bottom line in 2015! Are you wondering how the Affordable Care Act, ICD-10 and the government’s value-based modifier will affect your practice in 2015? This is no time to go into retreat mode. In this high-energy educational webinar, national speaker and author Elizabeth Woodcock highlights the key changes in payment for practices in 2015. 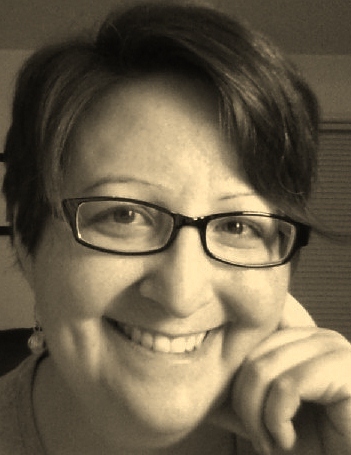 Join Elizabeth and get ready to be a best practice in 2015! The December edition of the Kareo Getting Paid Newsletter highlights some of the changes coming for medical billing in 2015 along with tips on managing and renegotiating payer contracts. The newsletter also provides a chance to discover upcoming events, news, and resources from Kareo. 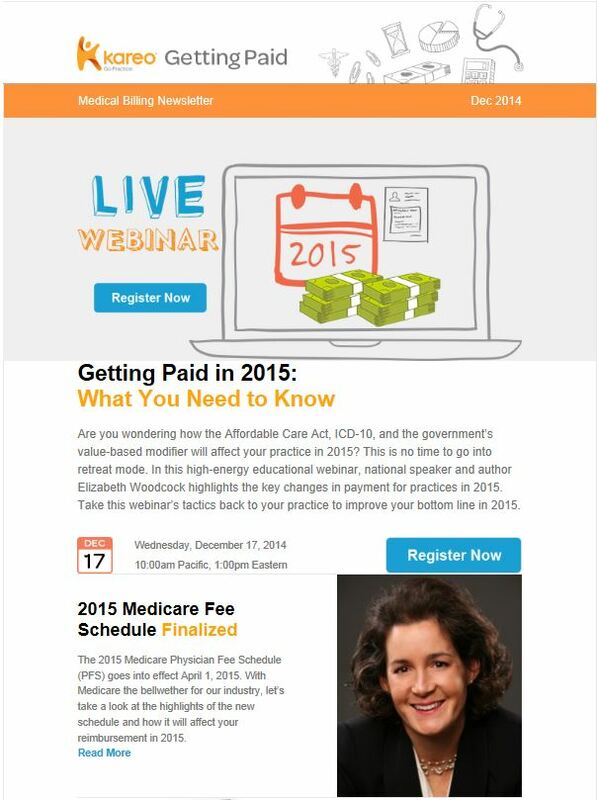 Plus, you’ll learn about how to register for our upcoming free educational webinar, Getting Paid in 2015: What You Need to Know, presented by renowned medical billing and practice management expert Elizabeth Woodcock. Read all this and more now! You can use social media and stay out of trouble on HIPAA—just be careful not to reveal too much patient information. Just because a patient posts about her condition publicly, you do not have license to respond publicly. Even if you were to post a comment about a rough day in the clinic, or losing a patient in the emergency room, with no patient identifiers, patient identities can be triangulated thanks to the vast amount of information online—and the total volume of information seems to double daily. Healthcare professionals have been sanctioned for such posts. Physician bloggers can steer clear of HIPAA issues by only writing posts about composite patients, or patients with numerous key details changed, where a story illustrates a point without putting patient privacy at risk. State laws and federal laws other than HIPAA, enforced by an alphabet soup of agencies, create additional minefields. With all of these potential problems, remember that reaching out to patients, families, referral sources, and the general public through social media is an incredibly powerful act. As long as you bear in mind just how powerful it is, you can do so responsibly. 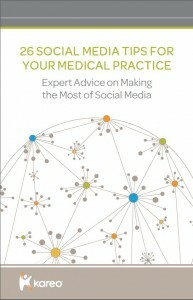 For more great tips, tools, and tricks to making the most of social media in your practice, download 26 Social Media Tips for Your Medical Practice. It is common practice when a new payer contract or an amendment to an existing contract shows up that the manager takes the document to the physician or owner for signature. Often, this happens without reading the contract and understanding its terms and your obligations to the contract it is signed. Before you can approach a health plan to discuss the negotiation of your contract you need understand your contractual terms. What is a payer contract? In simple terms, it is an agreement that promises to the pay the practice or specific provider for “medically necessary” services it provides to the health plan members. Reimbursement rates. You need to know how much the health plan going to pay you for your services. Never sign a contract that does not have a fee schedule attached. Filing deadlines. This is the amount of time you have after you have seen the patient to file the claim. Payment deadlines. What is the amount of time the health plan has to pay you after receiving a “clean claim”. That is a claim that has been submitted accurately without any coding or demographic errors. Notice to renegotiate. Most contracts spell out the notice period you have to provide them, in writing, of your intent to renegotiate the terms of your contract. Notice to terminate the contract. This lays out the terms of how either party may terminate the contract either for cause or not for cause. There are often hidden terms in payer contracts that practices do not notice, but they are very important. What fee schedule is being used and how is it calculated? How often is the fee schedule updated? Are amendments unilateral or bilateral and how must notification take place if unilateral? 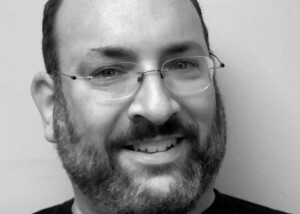 (some sneak it in an electronic newsletter that is easily overlooked)? Is there reciprocity in the agreement or does the plan put all the responsibility on the provider? Are you being charged for referring patients out of network? What are the compliance obligations and do you have the internal resources to implement and manage them? Almost all the policies, procedures, quality assurance, and quality management prior authorization and referral programs are provided in a provider manual. Be sure to also read this manual. It is important that you read, understand the terms and can abide by “all” the contractual terms before you sign the contract. The contract legally binds you to the terms of the contract and by signing it you are agreeing to perform and abide by the terms spelled out. It is easier to negotiate contractual terms and reimbursement rates before you sign a contract. Often, practices want to renegotiate terms within the first year of executing the contract. While it is possible to do so, it can be challenging. Payer contracts are one of the practices biggest assets. Therefore it is critical that you prepare a formal request to the health plan detailing what you would like to change in the contract. Make sure you have the supporting documentation to support any claim that you are making in the request. Identify the value proposition and how it benefits the health plan, health plan members, and your practice. Never be afraid to ask for what you want and be prepared to say NO if the contract does not make financial sense. Remember, reviewing, renewing and renegotiating contracts is something you need to do every year. Also, be sure to update your practice and other fee schedules in your practice management system. Not doing this could result in lost revenue! The 2015 Medicare Physician Fee Schedule (PFS) goes into effect April 1, 2015. While the current Medicare Fee Schedule stays around until March 31, 2015, the new PFS will bring a 20-plus percent drop in physician reimbursement unless Congress steps in first. While Congress has reversed the cuts in previous years, there’s truly no guarantee that Congress will take action prior to the spring decline. With Medicare the bellwether for our industry, let’s take a look at the highlights of the new schedule and how it will affect your reimbursement in 2015. Chronic care management. The Centers for Medicare and Medicaid Services (CMS) will begin reimbursing physicians for chronic care services with dates of service of January 1, 2015. Instead of creating a new G code, CMS will use the established CPT® code, 99490, which will pay approximately $40. The code is applicable to non-face-to-face services related to managing the care of a Medicare patient with two or more chronic conditions, and can be used by a physician of any specialty. Practices must be using a certified EHR system to qualify, but the work can be performed by staff under “general” supervision of the physician. While $40 may not sound like much, the code is billable each calendar month for 20 minutes or more of activity, making it potentially lucrative. Specialty cuts. The 2015 PFS brings cuts to a handful of physician specialty services. Radiation therapy centers and payments for radiation oncology escaped a massive cut, based on CMS’s desire to classify equipment costs as indirect rather than direct practice expenses. This reclassification is expected to be addressed in the 2016 fee schedule. The only specialties with negative impacts of more than one percent will be dermatology and ophthalmology, each incurring a two percent reduction due to resource value scale (RVS) adjustments. Screening colonoscopies. Medicare beneficiaries no longer must pay for anesthesia provided separately during a screening colonoscopy. As of January 1, 2015, the deductible and coinsurance are both waived as CMS rewrites its definition of the screening service to include separately provided anesthesia. PQRS measures. Physicians and other eligible professionals must report on nine measures in 2015 for the Physician Quality Reporting System (PQRS). Successful reporting avoids the two percent penalty that will be imposed in 2017 based on 2015 participation. No more bonus payments are available through this government initiative; it converts to a penalty-based program in 2015. Value-Based Payment Modifier (VBPM). After starting with the large practice market in 2014, this initiative will be rolled out to all practices next year. Physicians, regardless of practice size, must report it or face negative payment adjustments. The penalty increases to four percent for practices with 10 or more eligible professionals, but even smaller practices should take heed as CMS’s definition of an eligible professional (EP) is quite broad. Global periods. The 2015 PFS confirms the phase-out of the global period for surgery codes – 10- and 90-days. When finally eliminated in 2018, all global periods will be replaced by 0-day global codes, thus migrating all surgeries and procedures into per-service coding. The full package of Medicare physician fee schedule changes coming in 2015 is packed into the Final Rule. 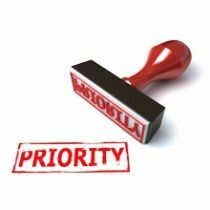 Expect your specialty society, if it hasn’t already done so, to release its assessment of the new rule’s impact on your practice. To find out more about the coming changes in 2015, join me for the free webinar, Getting Paid in 2015: What You Need to Know.